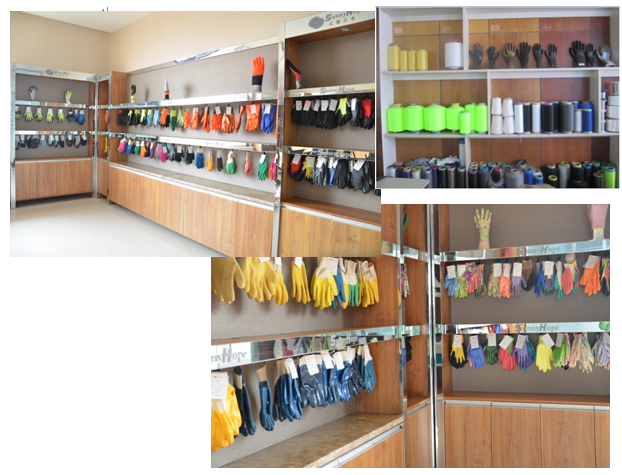 Find Ladies Garden Gloves, Colors Ladies Garden Gloves, Safety Colors Ladies Garden on Industry Directory, Reliable Manufacturer/Supplier/Factory from China. 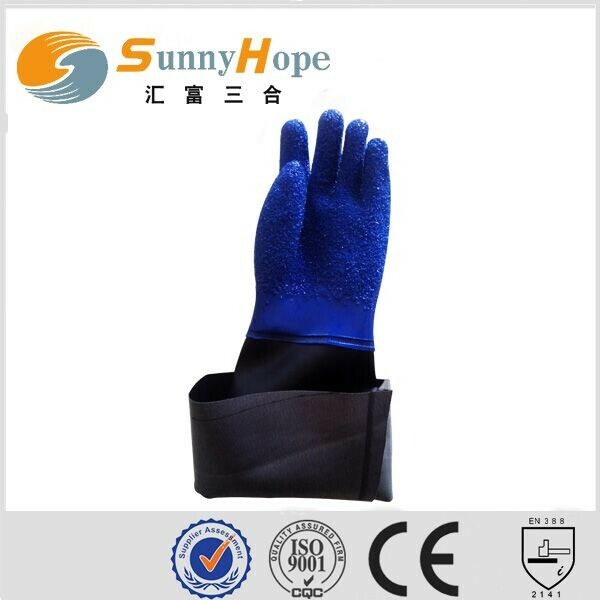 SunnyHope Slip resistant PVC coated waterproof oil resistant fishing glove Product Description 1. 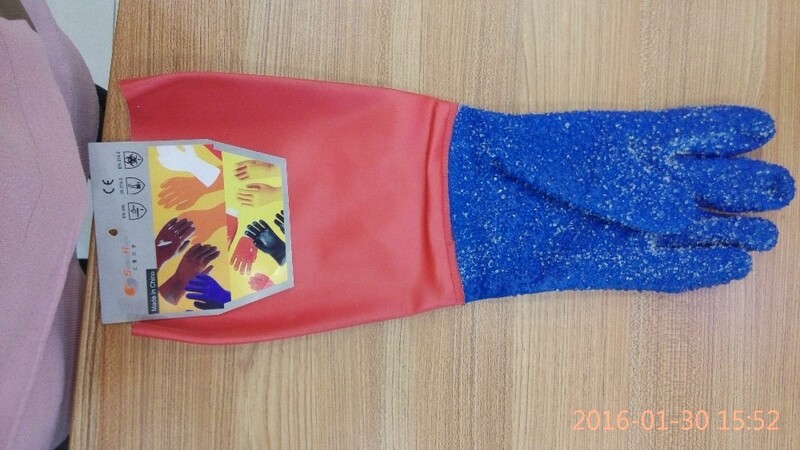 PVC MATERIAL FULLY COATED-WATER PROOF 2. lONG SLEEVES 45CM --PROTECTION ARM WELL 3. WELL CHIPS ON PALM---ANTI-SLIP FOR FISHING , GRIP WELL! 4.JERSEY LINER -WELL MORE CONFORTABLE 5. 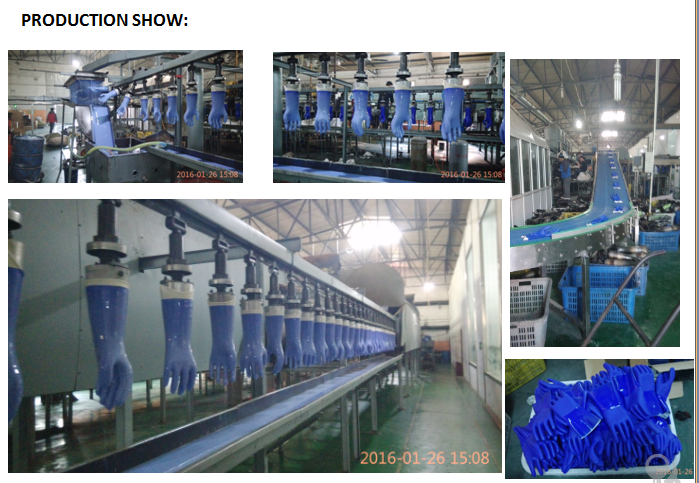 GREAT AND SPECIAL TECHNOLOGY MAKE GLOVE FISH-OIL RESISTANT Detailed Images Color Application Factory Show Packaging & Shipping Note: 1. Logo printing are INK PRINT or HEAT TRANSFER. INK PRINT white or black is free, HEAT TRANSFER PRINT will be charge accordingly. 2. 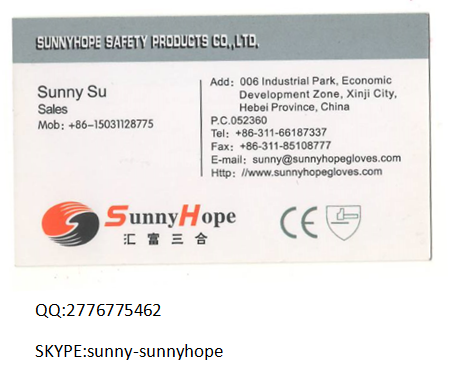 12pairs/polybag, 120pairs/carton; Custom made packing is acceptable, HEAD CARD, OPP BAG/PAIR , INSTRUCTION SHEET ect are charge accordingly. 3. 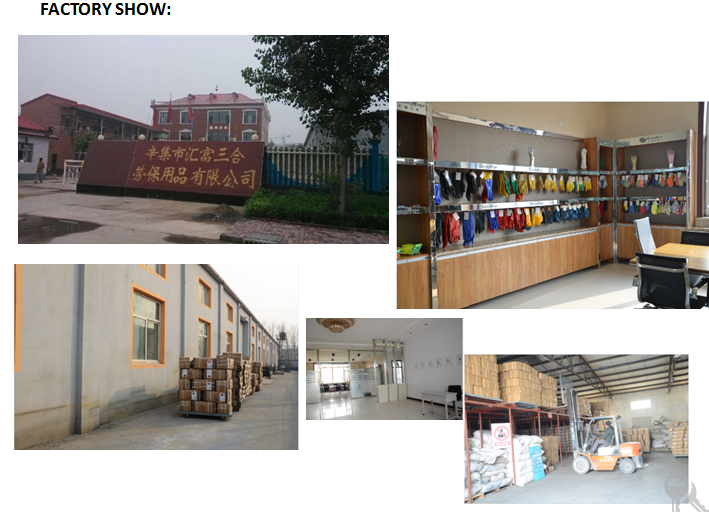 Load Port Tianjin Or Shanghai China Related Products Contact Me Send your Inquiry Details in the Below, Click "Send" Now! 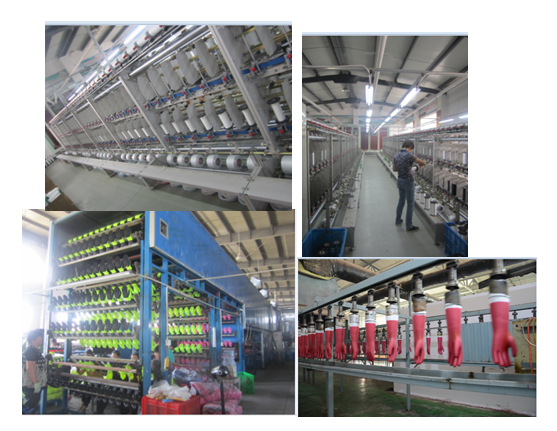 New business starts and we have chance to make friends with each other. 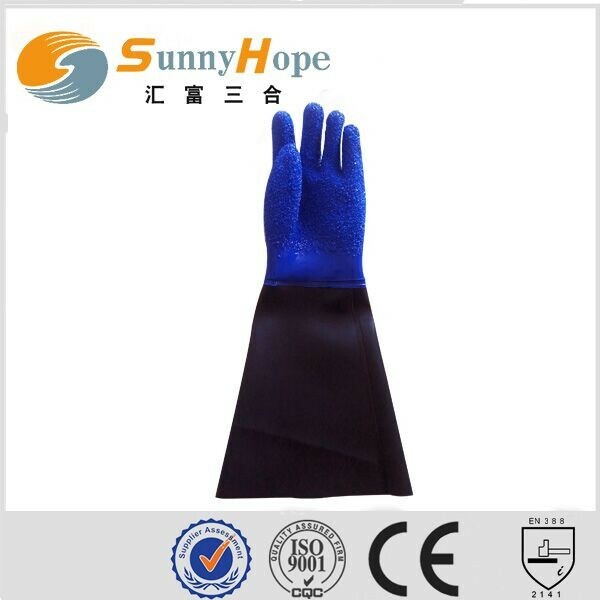 Contact us if you need more details on Fishing Glove. We are ready to answer your questions on packaging, logistics, certification or any other aspects about Oil Resistant Fishing Glove、Pvc Fishing Glove. If these products fail to match your need, please contact us and we would like to provide relevant information.